In preparation for a series of blog entries that I will be doing on Walter Benjamin, Kafka, and Comic Gesture, I’ve been pursuing research on humorous gestures. In yesterday’s post, for instance, I pointed out that Franz Kafka and Walter Benjamin were both fascinated (and afflicted by) “childish” and “clumsy scribblings.” The fact is that they both write about this gesture and consider it to be of the utmost importance. But what does it mean that they admit to these gestures and “own up” to them? Have they taken on a tradition which starts with Don Quixote or with a tradition that starts with the end of prophesy – as I have suggested in the past? Bearing mention of these comic gestures, Kafka and Benjamin direct us to a more acute sense of the “how” of their work rather than the “what.” Their reading of these “childish scribblings,” their identification with them, is instructive. Teetering between the gestures of an adult and a child, gesturing like schlemiels, they show us a wholly other side of their work and expose us to a sense of comic historicity. But it’s not just the singular gestures – the childish and clumsy scribblings that they write of and identify with –that I’m interested in. I’m interested in how these comic gestures relate to or spur others and how they are shared. What kinds of relationships do schlemiels create by virtue of their gestures; that is, by virtue of their clumsy childish scribblings? In the last blog, I suggested that these scribblings are related to the temple (the Holy) on the one hand, and the future on the other. In other words, although they are ruinous of the holy, they, at the same time, open up a circuit in relation to the future and another kind of otherness which comes to the fore in the wake of the sacred’s departure. And here, I would add, it opens up, additionally, a circuit with other people. How, in fact, does a comic gesture create a relationship to the future, otherness, and others? One of the most interesting things I find about many of my favorite comedians is that they often don’t laugh or even smile at the audience. They may spur laughter through their gestures, but they often don’t smile or grin. The audience does. They see all of us laughing for the better or the worse. This gestural relationship is intriguing as it creates a community based on ridicule and difference. However, today, some comedians want to be laughed “at” and to laugh “with” others “at” themselves. This complex form of self-ridicule can be seen in comedians like Larry David, Louis CK, Marc Maron, and Andy Kaufmann, to name only a few. What makes these comedians unique is that they laugh at those who laugh at them while at the same time laughing at themselves. They laugh “with” others, “at” themselves, and “at” the audience. The schlemiel, to be sure, is oftentimes laughed at. But he or she doesn’t get it or, if he or she does, just moves on. That’s the trick. However, in reality, no one can just be laughed at and go on unscathed. While researching gesture, I came across this video by Son House, the legendary Blues Musician and Preacher. In this video, he gives solace to those who have been scathed by the quintessential comic gesture: the grin. Son House’s advice, throughout the song, is not to “mind people grinning in your face.” The way to get through people grinning “in” (or “at”) your face, sings Son House, is to turn to keep in mind that “a true friend is hard to find. This implies that people you thought were your friends are really not. The gesture of their betrayal is the “grin.” True friends won’t grin at you. Seen from the perspective of a schlemiel like Gimpel or Motl, what does this mean? It would imply that they have no true friends. But that doesn’t keep them from trusting people. The comedy of the schlemiel is inherent in the fact that they still do trust people. It is the viewer, however, who might have the problem. The viewer is the one who might become cynical. Unlike Gimpel, he or she knows what its like to be laughed at. Son House’s song speaks to them. It is a gestural response to being ridiculed. It is a response to the grin. The song actually addresses the wound a comic gesture may inflict on a person. His song, in this sense, is “universal” in scope insofar as everyone – at some time in his or her life – has been laughed at by people he or she thought were friends. So, on the one hand we have the schlemiel, whose comedy exposes us to a ridicule that he or she cannot recognize; on the other hand, we have the viewer who does recognize this ridicule. On the one hand we have comedy; on the other hand, we have the comic blues. Both are sides of the same coin. And on the coin we find one thing: the grin. Our art is a way of being dazzled by truth: the light of the grotesquely grimacing retreating face is true, and nothing else. For Kafka, the truth is not simply in the grinning face. It is in the movement of the grimacing face; it can be found in the retreat of a “grotesquely grimacing (grinning) face.” The fact that Kafka notes the retreat rather than the approach of the grimacing face is telling. It indicates that Kafka sees truth in the wake of ridicule. We hear this in Son House’s song. He sings it to those who the grin has touched. We also hear it both Kakfa and Benjamin’s mediations on the “scribblings of children” which embody the grotesque grin. Kafka seems to be telling us that our truth, the truth of who we are, can be found in the withdrawal of ridicule. This implies that the comedian who sees the audience grinning back at him or her has the best view of truth. This relationship, I would aver, is not a once in a lifetime thing. Kafka suggests that this gesture of comic withdrawal happens repeatedly. This gesture has a lot in common with a childish scribble; however, the only difference is that a scribble remains inscribed while the grin comes and goes. Nonetheless, perhaps like Derrida, we can imagine the scribble as a trace which, in its iterability, is caught up in endless repetition…constantly ridiculing the totality of the text in withdrawing the text from itself. Perhaps the text, in this sense of being childish, comes and goes? On the other hand, a Preacher named Son House advises us “don’t mind people grinning in your face.” The purpose of this line is to give solace to the believer who, in his or her search for God and justice, will have to face ridicule. 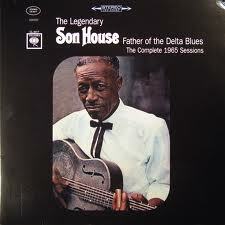 The question, for Son House, is what to think and how to cope with this ridicule. The question, for Kafka, deals with the meaning of ridicule as it retreats and leaves us powerless and weak. Nonetheless, both of them see truth in the withdrawing face of laughter (in the wake of laughter). And perhaps this is a new, comic tradition, which emerges in the wake of God’s withdrawal or, as Kafka might say, in the wake of a withdrawing grin….